31.07.2013. Wine producers in Georgia are targeting improved export sales to the European Union after the creation of a “deep and comprehensive free trade area” between the EU and the Caucasus republic. Wine from Georgia’s wine industry could “access the EU market on a level playing field with European wines”, he said. Last year, Georgia exported US$9.2m of wine (including fortified and sparkling wines) to the EU. The EU exported significantly less wine to Georgia last year; just $2.6m of standard still and fortified wine and $1.9m of sparkling wine last. The agreement was secured last week. 30.07.2013 (Hvino News) U.S. Ambassador to Georgia Richard Norland responded to the statement of Russia's chief sanitary doctor Gennady Onishchenko regarding the Lugar Lab, a U.S.-funded biological laboratory located near Tbilisi. According to Norland, Lugar Lab (named after former US Senator Richard Lugar) is not a military object but a research laboratory, an open and transparent facility for scientists of the region. “The laboratory is managed by the Georgian government and it is an open and transparent facility for scientists, including Russian scientists. 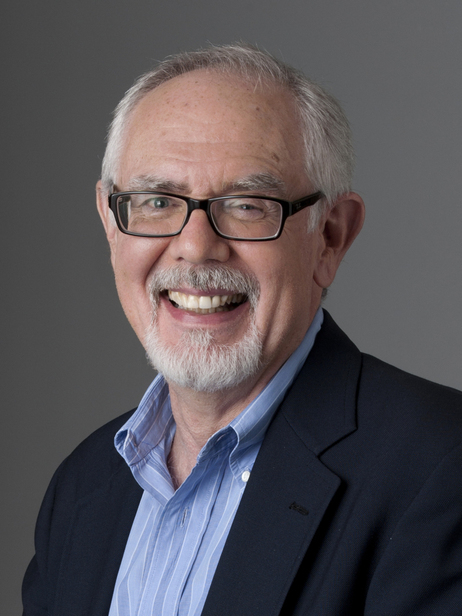 They should be interested in coming here to see how the lab is operating, which is equipped with modern technologies,” Richard Norland told the reporters. Gennady Onishchenko, head of Russia’s state consumer protection agency Rospotrebnadzor, which ordered ban on import of Georgian products to Russia in 2006, said last week that the laboratory represents “a powerful offensive potential.” “Russia deems it to be a direct violation of BWC [Biological Weapons Convention],” Onishchenko was quoted. The laboratory could threaten the health of Russians through imported wine, vegetables and fruits, said Mr. Onishchenko. He said Russia might need to respond by limiting imports of Georgian wine. 29.07.2013 (Hvino News) According to Agriculture Minister Shalva Pipia, Russia occupies the 4th place in the Georgian wine export. Pipia mentioned this today at meeting with journalists. "Opening new markets as well as promoting the export of Georgian products to the Russian market are very important. It should be noted that 1.759,670 bottles of Georgian wine were exported to Russia. Top five markets for the Georgian market are the following: Ukraine, Kazakhstan, Belarus, Russia and Poland. Russia occupies the 4th place in the wine export markets,"- said Pipia. 29.07.2013. A tradition of home-cooked meals means that markets in Georgia overflow with a vast array of spices and herbs that give Georgian cuisine its rich flavors and aromas. In this article we describe some of the spices and herbs that are most commonly used in Georgian cooking. Introducing Hvino Privilege Club membership - up to 75% discounts! At Hvino.com we do our best to make our service useful and cost-efficient for our partners. Our latest and revolutionary improvement is Hvino Privilege Club membership. Why we call this a revolutionary progress? We had a complicated system of advertising rates and % discounts to go with various banner sizes and campaign duration. This is over now.The Club member can freely place as many banners as he wants, for any duration. So, Hvino's partners have complete freedom and flexibility for all advertising needs. And no need for contracts and separate payments and calculations. All that is required is single, one-time, flat membership fee. The special introductory fee is just 1000 GEL (plus 28% Georgian taxes) for 6 months membership, with unlimited advertising at all 3 Hvino sites. 26.07.2013 (Hvino News) The 2013 grape harvest may be financed through 30 million GEL from the state budget. Paata Chavchanidze, spokesman for the National Wine Agency, told Georgian television that the state might once again help to finance the harvest, as it did last year. He adds that it is still unknown, what form the help for the peasants will take. According to Mr. Chavchanidze, the price of grape submitted to the wineries will once again not fall below the 1 GEL per kilo mark. In response, Giorgi Margvelashvili of Tbilvino said that the price of grape should be regulated by the market, and the government should not intervene in this process. The National Wine Agency states that 120 000 kilos of grape are expected to be harvested in the Kakheti region this year. 25.07.2013 (Hvino News). A chacha (grape brandy) produced by Georgian company has won a top honour at this year’s International Wine and Spirit Competition (IWSC). On 24th of July the IWSC released the list of full winners for spirits for 2013. The list features Georgian Wines & Spirits Company Ltd (GWS), which won a Silver Award in the nomination "brandy". The awarded spirit is Supreme Chacha produced by GWS. IWSC's official site lists also Eristoff Premium Vodka as a Georgian-produced product, which won a Bronze award among vodkas. The International Wine and Spirit Competition (IWSC) was founded in 1969 and is the premier competition of its kind in the world. This standard is achieved through a rigorous two-stage judging process of professional blind tasting and detailed technical (chemical and microbiological) analysis that takes place at The Competition's headquarters in Surrey, UK. The Competition is backed by a group of vice presidents made up of the most influential men and women in the trade, including Baroness Philippine de Rothschild, Miguel Torres, Marchese Piero Antinori, Robert Drouhin, Robert Mondavi, May de Lencquesaing, Kenneth Graham and Sir Anthony Greener. The Competition receives entries from nearly 90 countries worldwide. 24.07.2013. (Hvino News) Georgia has exported almost 900,000 liters of wine to Russia, the Russian health and consumer watchdog Rospotrebnadzor said on Tuesday. “Two hundred and five shipments of alcohol products – 891,586 liters in all – have been supplied to Russia this year by eight Georgian companies, including 64 shipments totaling 274,409 liters last week,” Rospotrebnadzor said on its website. Georgia has also delivered 26 shipments of Borjomi mineral water, or over 927,000 liters, Rospotrebnadzor said. Russia banned imports of Georgian wine and mineral water in 2006, citing its poor quality. In early February 2013 Russia and Georgia negotiated a pattern of clearing Georgian products into the Russian market. Georgia has already renewed exports of Borjomi mineral water, wine and brandy to Russia. 24.07.2013. Try as he might, Russia's Dr. Strangelove, otherwise known as food security tsar Dr. Gennadiy Onishchenko, has not yet stopped worrying and learned to love a Georgian tomato. Or a peach. Or a bottle of wine. 22.07.2013. Just few months after Russia dropped embargo on Georgian wines and mineral waters, its chief sanitary doctor warned that presence of the U.S.-funded bio lab in Tbilisi would have “sharply limiting effect” on bilateral trade ties. “Russia deems it to be a direct violation of BWC [Biological Weapons Convention],” Onishchenko was quoted. 22.07.2013 (Hvino News). Russia's chief sanitary inspector, Gennady Onishchenko, has accused the U.S. of producing biological weapons in Georgia and said they posed a threat to Russia. 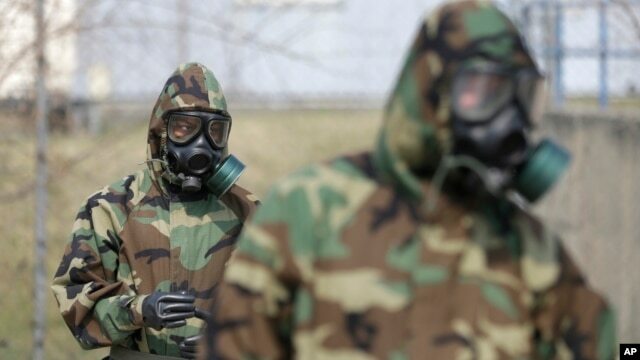 A U.S. Navy laboratory located on the premises of a former Soviet military base on the outskirts of Tbilisi is engaged in activities that violate the 1975 Biological Weapons Convention, threaten Russia and will harm economic cooperation, Onishchenko told Russian news agency Interfax. "The day is approaching when Russia will receive a million liters of wine from Georgia. But the factor of presence on Georgian territory of a military laboratory of the U.S. Navy will have a sharply limiting effect"- said Onishchenko. According to him, “with the broadening of contacts and shipments of Georgian wines and agriculture products into Russia, our alarm over presence on the Georgian territory of the powerful laboratory of the U.S. Navy, which is out of the Georgian authorities’ control, will be more and more increasing”, as the food is the most efficient way of intake of harmful substances. Georgian Wine House - 15,600 bottles. 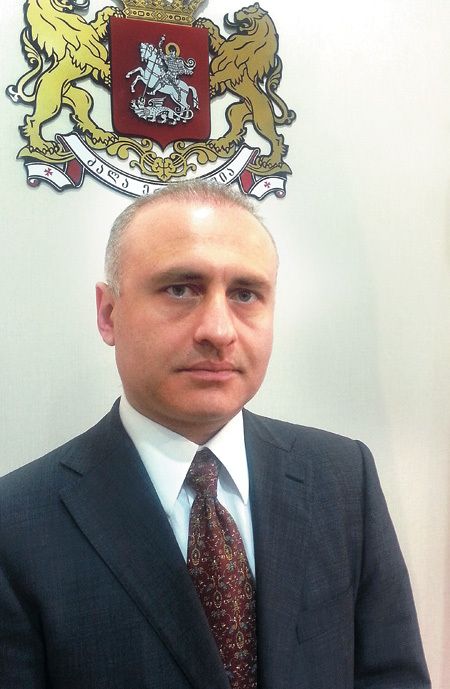 According to Agency's head Levan Davitashvili, average cost of Georgian wine in Russia makes up $3.5 and "it is well sold". The producers plan to sell up to 10 million bottles. This volume is twice less than before the Russian embargo. A: Make a wine so beautiful it will bring tears of joy to the pheasant’s eyes – or so the Georgian tale goes. This tale is inspiration for the name and label of perhaps the most well known winery from Georgia, Pheasant’s Tears. The traditional vessel most closely associated with wine making in Georgia is the qvevri (quevri, kvevri), an egg shaped clay vessel available in all manner of sizes. When thinking of wine storage during ancient times the two images that come to mind are the amphora and the qvevri. After some not insignificant reading it would seem there are many different opinions on the differences, if any, between the two vessels. The most significant difference would appear to be that the qvevri was used not only to store the wine but the wine was actually fermented in these vessels which were also buried in the ground to maintain a cool and even temperature. Although similar in appearance, amphorae have handles and were used as more of a storage vessel for transportation and they were not typically buried in the ground (notable exceptions being in the northeast of Italy and Slovenia where amphorae are buried in the ground during fermentation and maturation). 18.07.2013. My landlady unlocked the rusty gate. The stairs descended down to my new apartment in Tbilisi, Georgia. It was five in the morning. The sky was painted in pastel colours above the Metekhi Church that peered above the carpet of vines covering the courtyard. 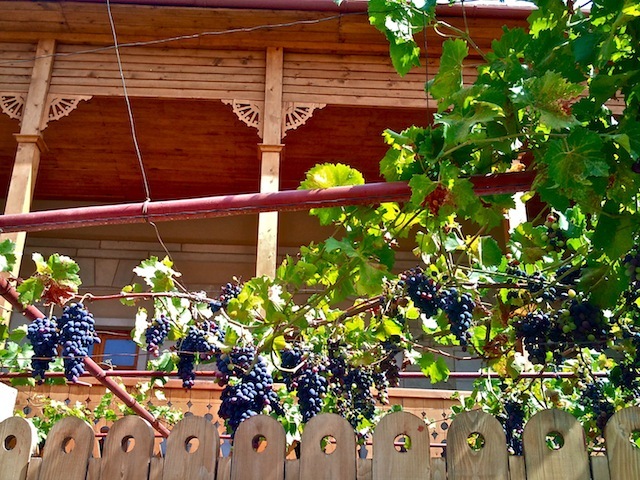 Grape vines were everywhere; they crawled up the iron bars of our balcony, with tendrils curving around the nails sticking out of the wall, spilling over the corrugated iron roof, completely covering the terrace. “Do you make wine?” I asked her, yawning from my overnight journey. While not as popular as wines from France and Spain, I have heard about Georgian wine talked about with passionate nostalgia. 17.07.2013. (Hvino News). Russian Chief Sanitary Inspector Gennady Onishchenko expressed satisfaction with the quality of Georgian wine, Russian news agency Interfax reported. Six Georgian companies have delivered 141 batches of alcohol products with a total volume of 617,077 liters. 61 batches with a volume of 226,579 liters arrived last week. 292 state licenses were issued and 53 more are on the way. 27 of them were granted to wine producers. Six companies have already started selling their products to Russia. 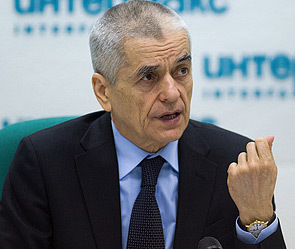 Mr. Onishchenko supposed that imports of alcohol products from Georgia would not significantly affect the Russian market. 16.07.2013. Tucked between Russia and Turkey, the Republic of Georgia is renowned for great food: cheese dishes, pickles, breads and stews. This is a cuisine that you should not miss. 16.07.2013. Sixteen months into his job, Georgian Ambassador to Korea Nikloz Apkhazava’s efforts to raise awareness of his country’s wine and to find importers here has not been an easy one. When studying wine, Georgia can’t be ignored. It is recorded that the history of wine goes back to approximately 8,000 B.C. “It is 2,000 years prior to major civilizations in Egypt and Mesopotamia,” said Cesare Woo, president of the Korea Sommelier Association, who recently wrote a book on the history of wine. 15.07.2013. After seven years of embargo, Georgian wines and brandies are returning to the Russian market. Since June, 538,6 thousand bottles have been supplied to Russia. These are wines made by such companies as KTW, Dugladze Wine House, Batoni, Marniskari and GWS. Giorgi Kiknadze, KTW's Chief Technologist, told about Georgian wines. According to him, “it is estimated that Georgian wines have existed in the world for as long as the people of Georgia itself – for 6-7 thousand years already. 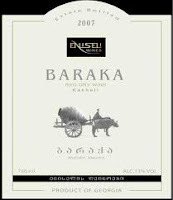 Georgian wine is not only a majestic drink; it is figuratively a capital letter in the alphabet of Georgian culture and spirituality. Eastern Georgia, Kakheti, is the center of Georgian wine, which gave the world its own technology of wine production – wines of the Kakheti type and spirits, chacha and brandy. One of the peaks of Georgian wine production rightfully belongs to Georgian brandy. Georgian brandy production came in the wake of the general rise of agriculture of the Russian Empire”. 14.07.2012. Hvino News' Sunday feature is Russia Today interviewing Moscow-based expats on Georgian wine (and on Edward Snowden), directly from a pub in Moscow. Russia Today (RT) is a state-owned English-language television channel. 09.07.2013. Finally emptied my fridge of all my white wines in anticipation of the Finger Lakes Wine Festival this weekend. There I will stock up on many of my favorite white wines and Rosé wines for the remaining summer months. Eniseli Wines is relatively new on the market. Established in 2007, they own 8 hectares of old vine Saperavi along with 6 hectares of new vines near the village of Enseli in the Kakheti region of Georgia. The company also owns 22 hectares of Saperavi on the slopes in Segaani in the Gurjaani district of Kakheti.